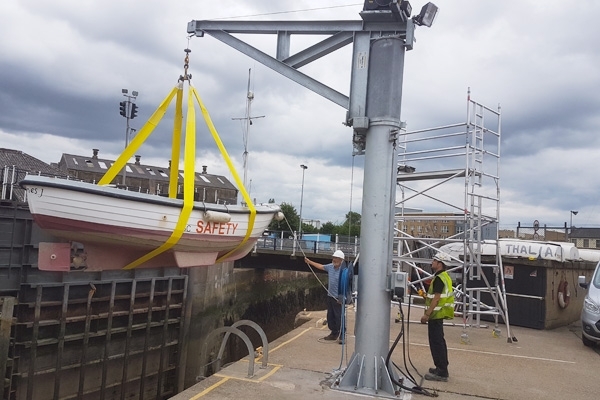 This project called for Hoist & Winch to Design, manufacture and install a 1000 kg swl Quayside Free Standing Jib Crane fitted with an electric wire rope winch for lifting sailing boats from the river Thames to the Quayside. 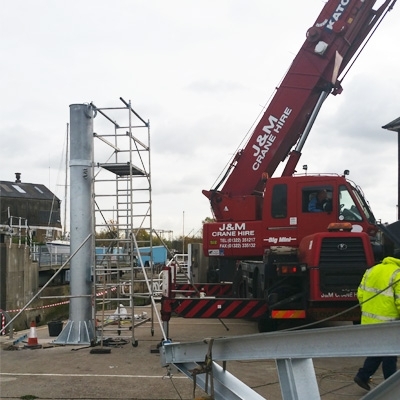 Working directly for a Kent (UK) based Sailing ClubHoist and Winch were selected to replace the existing 500 kg Swl Jib crane and electric winch with a modern design solution with increased capacity to 1000 kg Swl in order to accommodate larger sailing boats. 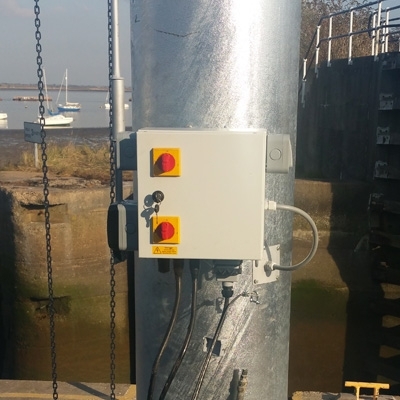 Working with the Sailing Club Project Manager, the above specification was discussed and agreed, after which Hoist and WinchLimited submitted a detailed quotation that was tailored to the customers budget. Upon receipt of the customers purchase order (their single largest purchase to date), Hoist and Winch attended site to carryout out a full site survey which included foundation test drilling and pull test checks for the jib crane quayside base plate anchor mounting position. Preparation of our project specific general arrangement drawing followed this site survey, which was submitted for customer final approval prior to commencement of manufacture. 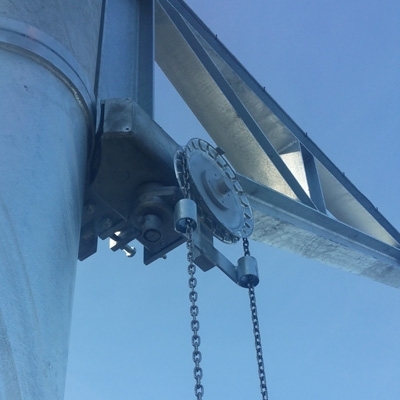 As part of the scope of supply, Hoist and Winch also carried out the installation, commissioning and load test of the equipment. 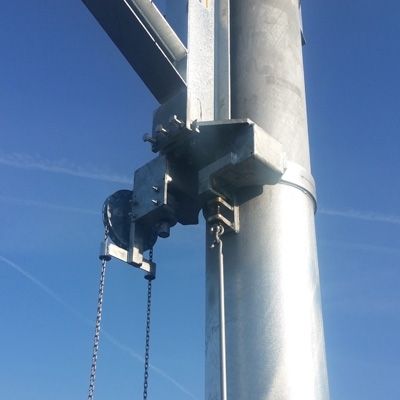 On completion, Hoist & Winch Ltd issued a LOLER Thorough Examination Report for the completed Quayside Jib Crane and Electric Winch Installation.